The official kickoff to WWE WrestleMania season is here and with that comes excitement and anticipation of what is to come. 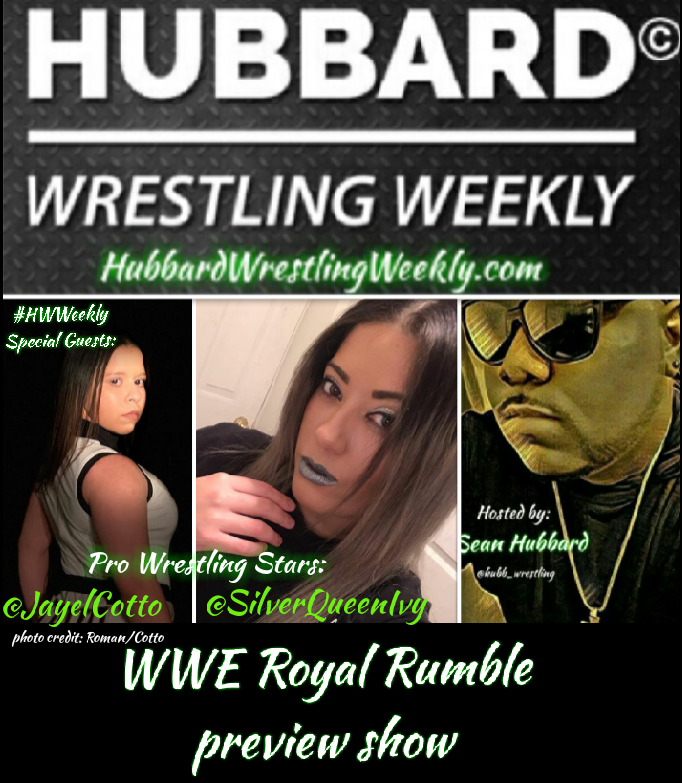 Well, right here on the January 26th, 2019 edition of the #HubbardWrestlingWeekly Podcast we have more than excitement and more than anticipation… WE HAVE STAR POWER. Superstar professional wrestlers and champions Silver Queen Ivy Roman and Jayel Cotto join the show as guest analysts as we preview Sasha Banks vs. Ronda Rousey, Brock Lesnar vs. Finn Balor, Becky Lynch vs. Asuka, ‘The New’ Daniel Bryan vs. AJ Styles and much more surrounding the excitement of WWE’s 3rd longest tenured historical event, the Royal Rumble. In addition, Jayel & Ivy give updates on championships, their affiliation with wrestling stable The GO4T, and much more. This episode was amazing… Click play and enjoy. You’re welcome! #HWWeekly is in the building and its lit!